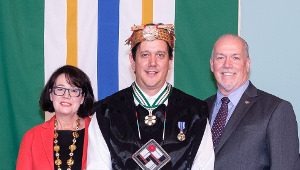 VICTORIA – This year marks the 30th anniversary of the establishment of the Province’s highest honour, the Order of British Columbia. British Columbians are encouraged to nominate inspiring individuals who have left a lasting legacy in their respective fields. 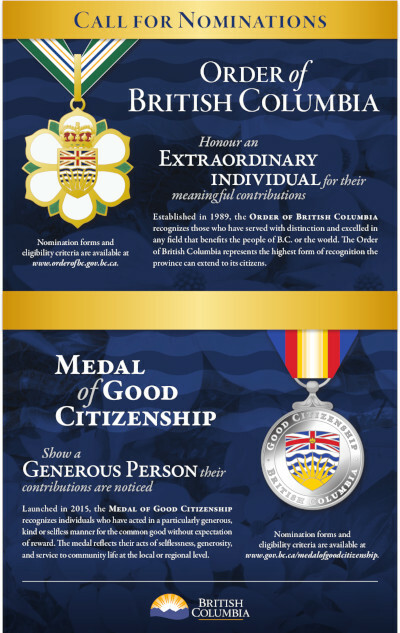 The Order of British Columbia is one way of rewarding and recognizing those British Columbians whose extraordinary contributions and achievements have contributed to a better quality of life in B.C. and beyond. 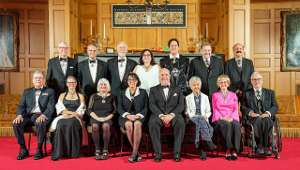 VICTORIA – In front of friends, family and a room full of distinguished guests, 13 exceptional civic leaders were recognized today at Government House with the Order of British Columbia, the highest form of recognition the Province can extend to its citizens. 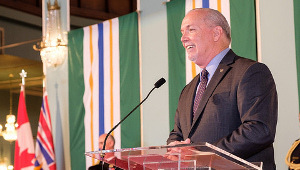 VICTORIA – Fourteen exceptional civic leaders will be appointed to the Order of British Columbia, the Province’s highest form of recognition, Lt.-Gov. Janet Austin, chancellor of the Order, announced today.